Chimamanda Ngozi Adichie is undoubtedly one of the most influential feminists of our time, a true leader to an equal world. The Nigerian-born author, scholar, and equal rights advocate divides her time between her home in Nsukka and in the United States, but her prolific oratory skills and ideas about gender reveal truths about humanity that transcend the opposing cultures. After earning multiple degrees in Political Science, Communications, African Studies, and Creative Writing, Adichie went on to earn many academic accolades, and write three critically acclaimed novels. She has been heralded among the most prominent young authors, particularly for her ability to attract a new generation of readers to African literature. 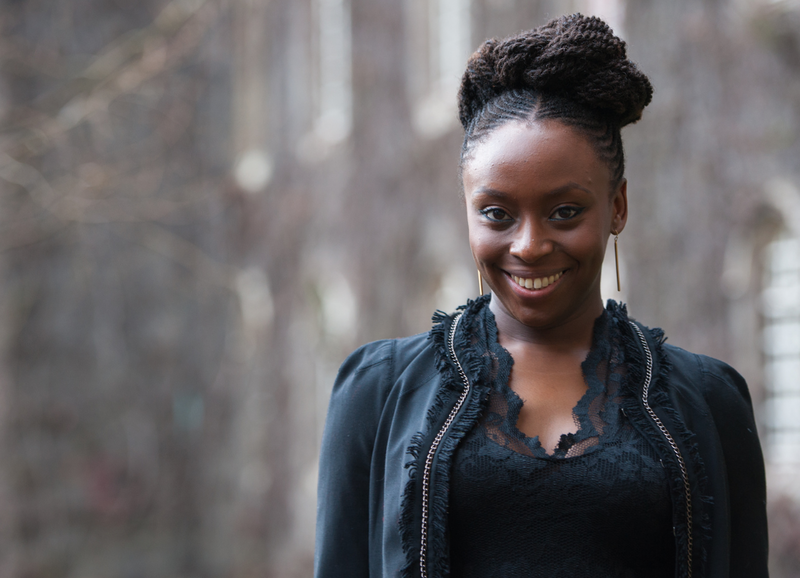 Critics and readers have applauded each her novels, “Purple Hibiscus,” “Half of a Yellow Sun,” and 2013’s “Americanah,” appreciating the way that Adichie effortlessly breathes life into compelling characters, and touches upon significant social issues. Adichie earned recent recognition when American musical icon Beyoncé sampled parts of one of her speeches in the song “***Flawless.” Overnight, countless people heard Adichie’s words, many who had never considered feminism or gender in the way that she presented it before then. Suddenly, fans of Beyoncé were not only enjoying new music, but were invited to consider the social significance behind the song in an entirely new way. Adichie speaking during her “We Should All Be Feminists” speech. 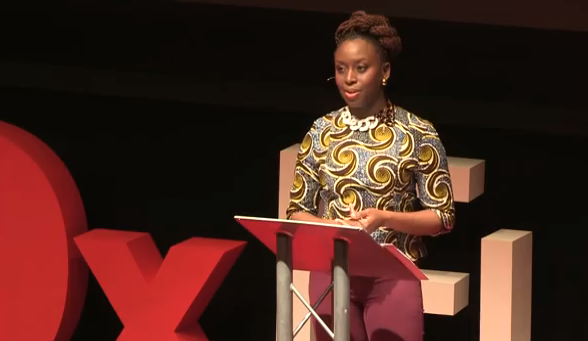 The sampling was from a TedxTalks speech called “We Should All Be Feminists” – thirty minutes that brilliantly illustrate Adichie’s eloquent, rational approach to discussing what gender inequality and feminism is all about. The speech ranges from humorous, to more somber, as Adichie recalls instances of oppression and gender inequality in her own life. At one instance she says, “I am angry. Gender as it functions today is a grave injustice. We should all be angry. Anger has a long history of bringing about positive change. But in addition to anger I am also hopeful…” of the positive outlook she has for the future of women’s roles in various cultures. Indeed, Adichie is preoccupied with the fact that gender inequality exists in many cultures today, and that it is in the best interest of all people to eliminate the social and cultural barriers that prevent men and women from truly being equal. One of the things that makes Adichie’s writings and speeches so influential is the way she draws from her personal experiences, and uses a simple, accessible approach to broaching complicated topics like gender stereotypes. Her writings have a remarkably broad reach; her fictional novels and social commentary prove equally important in contemporary feminist discourse. Her knowledge, honesty, and accessible feminism will continue to help create a more equal world.